← Research Experience for Undergraduates – Apply Today! 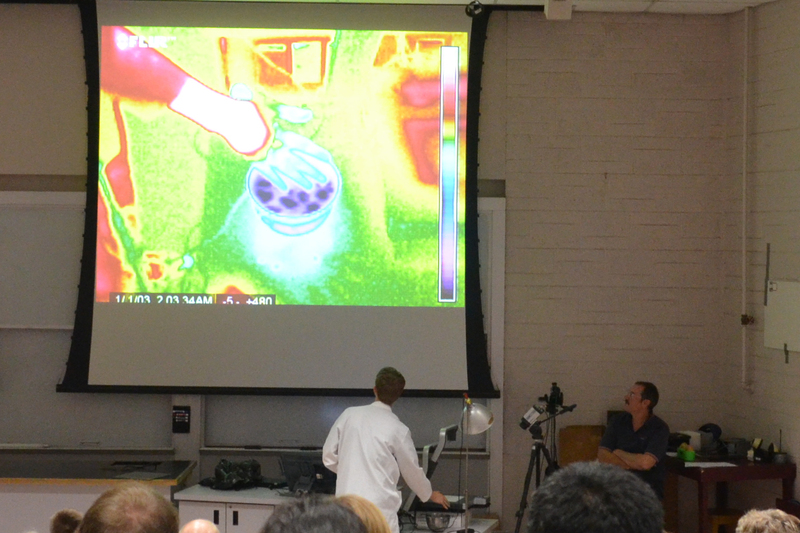 The Physics department here at the University of Arizona had their yearly event Physics Phun night last week. The event is geared at getting kids interested in science, and showing that physics and science isn’t just “boring math.” I went last year just as an audience member, but I enjoyed it so much that this time I decided to be a presenter. 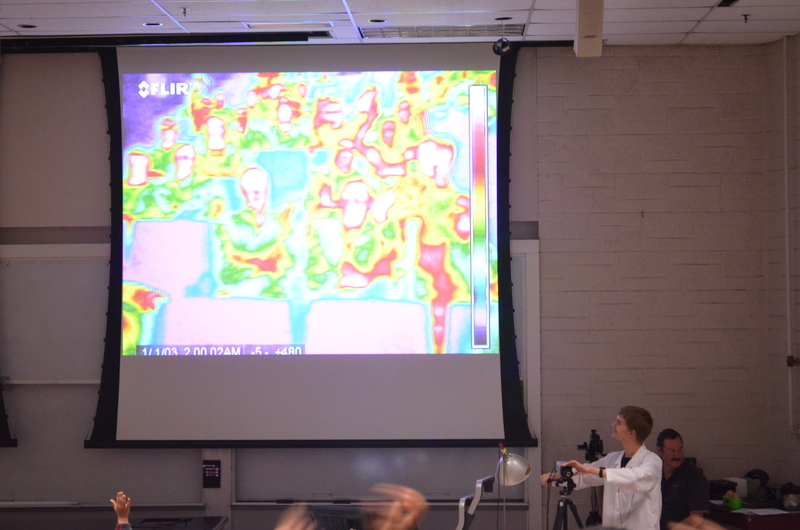 I borrowed the College of Optical Sciences’ thermal infrared camera as my demonstration for the event. The event has a very lighthearted and fun feel to it, so I dressed my scientist best. 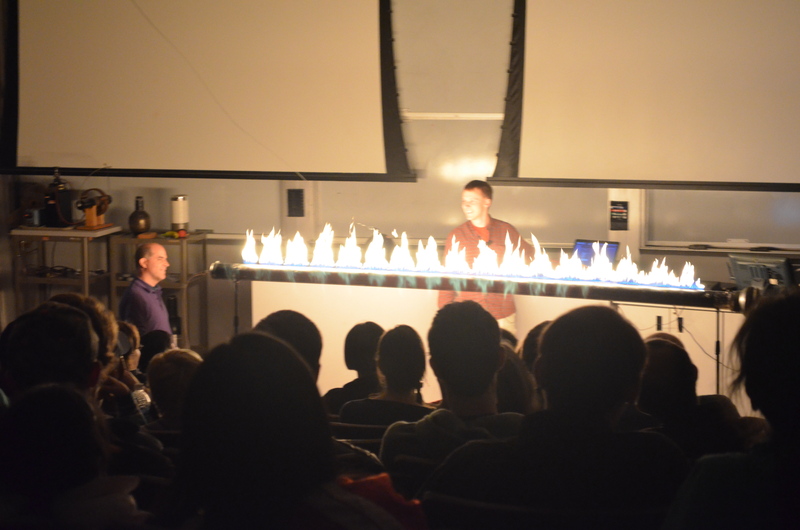 The event had it all, from lasers shining through interesting diffraction gratings, to swinging pendulums, liquid nitrogen, and even flames dancing to a song. When my turn came around, I turned on the IR camera, which was projected onto the screen, and panned it across the audience. Everyone had fun waving at themselves. I had a bowl of ice water prepared before I started talking, and I placed it in front of the camera, and introduced the audience to the idea of a hypothesis. I asked them to hypothesize like a scientist and tell me what they think would happen to the color of my hand if I put in into the bowl of ice water. I had an audience member correctly guess that my hand would change from being red and warm to being blue and cold. There were approximately 200 people at the event, and from the laughs and applause after each presenter it was clear that everyone was having a good time. I even got a chance to say something about Laser Fun Day, the College of Optical Science’s big outreach event coming up on March 1st, 2014. All in all, it was a fun and successful night of STEM outreach. 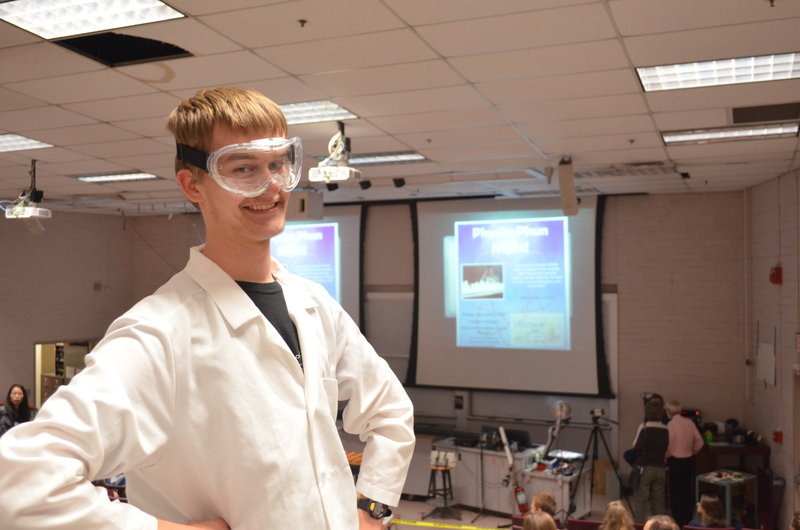 Benjamin Cromey is pursuing his Bachelors in Optical Sciences and Engineering at the University of Arizona. As a member of the Optics Ambassadors and the Outreach Coordinator for the Student Optics Chapter, optics outreach is one of his passions. He participated in the 2012 IOU program with CIAN and has been working with 3D Holographic displays ever since. This entry was posted in Education, Outreach and tagged College of Optical Science, education, outreach, Physics, University of Arizona. Bookmark the permalink.